Alpentile Glass Tile Swimming Pools: Alpentile In The News!! 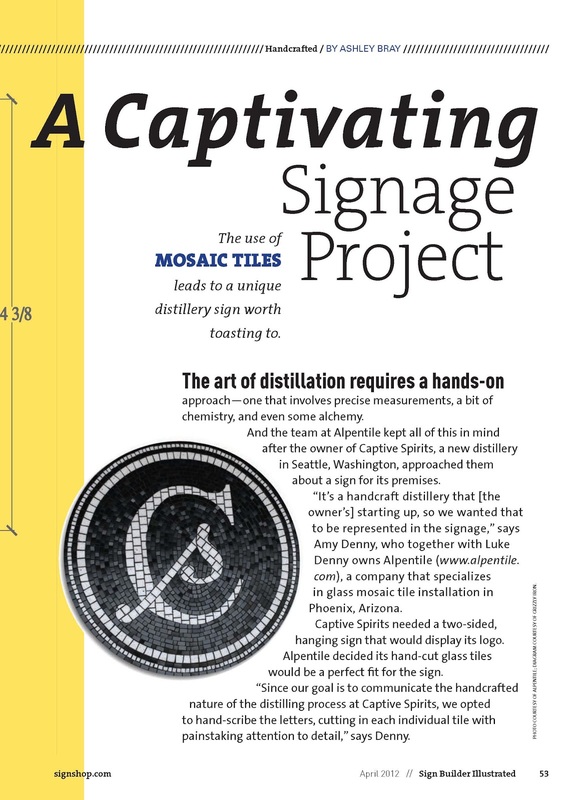 We recently completed a glass mosaic signage project for our friends Ben and Holly up at Captive Spirits Distillery in Ballard, WA. This creative collaboration introduced us to Jason LaBrash over at Grizzly Iron for his help fabricating the framework for our sign. 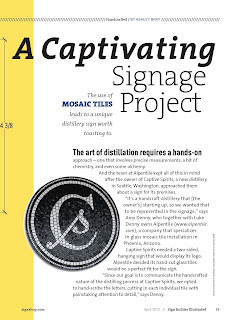 The story is captured in this article below by Ashley Bray in the April issue of Sign Builders Illustrated. Click on the magazine below for the full story: Page 52 - 61.